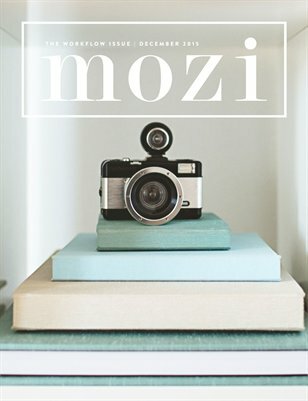 The Mozi workflow issue is all about what happens before and after the shoot. It is full of talent from the photography industry and includes topics such as workflow time savers, before and after edits, outsourcing, running your business like a boss, curves vs levels, post processing time savers, using textures, file backup, newborn compositing, and studio and workspace tips and tricks. Our amazing lineup of contributors includes: Posy Quarterman, Carrie Hampton, Jackie Jean Acosta, Mae Burke, Jessica Drossin, Amber Bauerle from Frosted Productions, Keri Meyers, One Willow Studios, and many more.